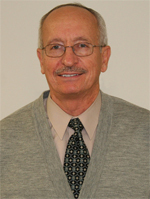 Norm Keltner is a retired nursing faculty member who worked 51 years in nursing (3 years as a psychiatric technician). He has worked in inpatient (state hospital and VA), outpatient (several settings), and has taught at three universities. He has also written books, chapters, and articles on psychiatric nursing. He currently has an ongoing column entitled Biological Perspectives in Perspectives in Psychiatric Care.